Ready to upgrade or add capacity to your Ransohoff parts cleaning equipment? Or perhaps your older and/or outdated systems are no longer fully contributing to your parts cleaning operations. In either case, selling these older/outdated, surplus or idle systems back to us can be a great way to ‘monetize’ these under-performing assets – and, if desirable, buying them back as completely refurbished systems delivering like-new performance but at a significant savings vs. the cost of new equipment. 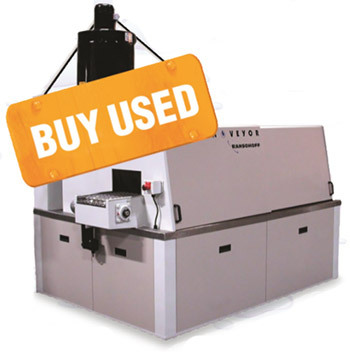 We’ll conduct an evaluation of your equipment and, depending on the make, model and condition, quote a buy-back price. Customer-specific re-tooling for new parts production requirements and process improvements. We’ll quote you a selling price for this like-new equipment – a system that now can deliver impressive performance improvements and potentially make a significant reduction in your newequipment investment.